This catalogue focuses on Reynolds's innovative, often highly experimental approaches to the practice and materials of painting. It investigates his radical manipulation of pigments, oils, glazes and varnishes, and traces his experiments with colour, tone and handling. Unfortunately, due to sales rights restrictions, we cannot offer Joshua Reynolds for sale in your country. One of Britain's most important and influential painters, Sir Joshua Reynolds (1723-1792) is justly celebrated for his dynamic portraiture, his poignant ‘fancy pictures', his ambitious history paintings and his role as the first President of Britain's Royal Academy. Published to accompany a major exhibition at the Wallace Collection, London (12 March-7 June 2015), and the result of the four-year research project, this catalogue focuses on Reynolds's innovative, often highly experimental approaches to the practice and materials of painting. It investigates his radical manipulation of pigments, oils, glazes and varnishes, and traces his experiments with colour, tone and handling. It reveals his continual temptation to rework and revise his pictures, illuminates his highly creative responses to the new exhibition culture of his day and explores his continual adaptations of the art of the Old Masters. In doing so, it encourages us to look at the work of this famous eighteenth-century British artist in a new and often surprising light. Technical analysis of some of Reynolds's most important paintings will be revelatory, and close-up photography and detailed examination of a range of pictures - at the centre of which are the Wallace Collection's own outstanding collection of works by the artist - will shed light on the fascinating and ongoing process of experimentation that spanned Reynolds's entire career. 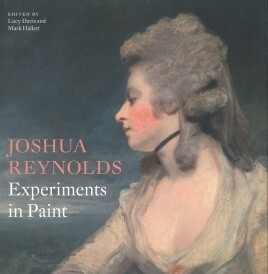 The book situates Reynolds's practice of experimentation, of both technique and of subject, in relation to that conducted at leading societies of science and learning at the time, and specifically to Josiah Wedgwood, one of Enlightenment Britain's greatest experimentalists in the arts. Finally, it demonstrates how Reynolds's innovations as a painter were often the product of collaboration - in part, with his assistants and his students, but, more importantly, with his patrons and subjects, with whom he continually explored the possibilities of gesture, expression, performance and role-play.